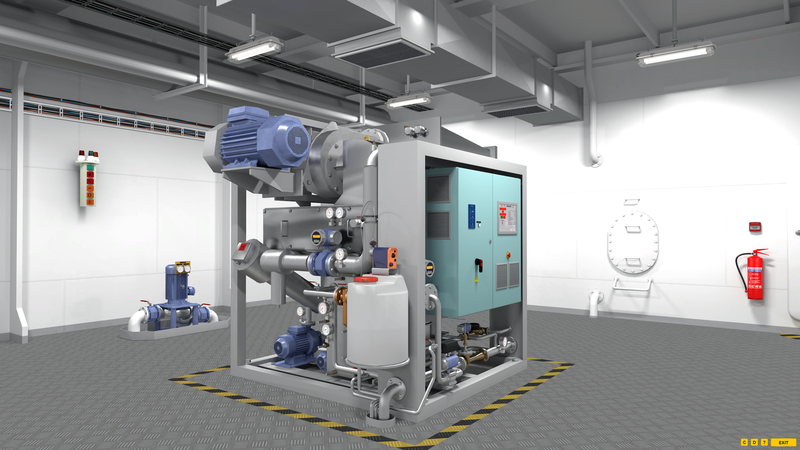 Unitest released new module of CBT part 9 – ORCA Offshore Freshwater Generator. The new module describes new type of Alfa Laval Fresh Water Generator dedicated to offshore industry. The ORCA offshore freshwater distiller produces between 20 and 70 m3 distillate per day depending on the configuration. It uses plate heat exchangers to evaporate and condense the compressed vapor under sub-atmospheric condition. The presentation part covers basic information related to fresh water production, configuration of the system and describes working principles.